This is an archive of past NFC industry conferences, exhibitions and other events. You can see forthcoming events on our events page. If you are organising a meeting, congress, conference or tradeshow, click here to find out how to get listed in our NFC events guide. Follow the key news stories from the event in our Money20/20 hub. Follow the key news stories from the event in our Mobile World Congress hub. Follow the key news stories from the event in our CES hub. Follow the key news stories from the event in our Trustech hub. 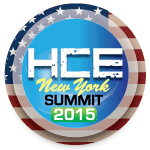 Leaders from the financial services industry will come together at this New York event to hear from innovators who have used biometric technology to meet their payment and authentication needs while providing an intuitive mobile experience. Join ST for a one-hour webinar at midday CDT (18:00 BST, 19:00 CEST, 1pm EDT) to learn how you can add new capabilities to your existing applications or create new products with features that were previously not possible, while simplifying and reducing your BOM using the chipmaker’s latest advanced dynamic NFC tag IC with best-in-class volatile and non-volatile storage, ideal for the IoT, consumer, industrial, and medical markets. Join NFC World, Proxama and payments processor Tutuka at 7am PST/10am EST/15:00 GMT/16:00 CET for a free 45-minute webinar where you’ll get real world insight into the practical issues involved in implementing a host card emulation (HCE) mobile payments service using Visa and MasterCard’s cloud based payment standards. Mobey Day Toronto brings together an international roster of top decision makers and influencers from the financial services and fintech industries for two days of big ideas. Trustech is the new name for Cartes. 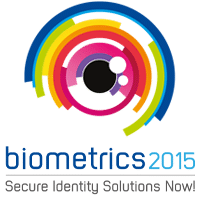 “Biometrics 2016 will provide a highly interactive forum for discussion and debate on the current and future use of biometric technology for managing identity and increasing efficiency within government and commercial applications,” the organiser tells NFC World. Join NFC World and Bell ID at 07:00 PDT/10:00 EDT/15:00 BST/16:00 CEST for a free 45-minute webinar to find out how banks can move beyond standard handset maker and card network schemes to provide differentiated mobile payment offerings that retain customers, attract new business and add fresh revenue streams. Join NFC World and NXP at 07:00 PST/10:00 EST/15:00 GMT/16:00 CET for a free one-hour webinar to find out how NFC can bring plug-and-play simplicity to smart homes and the internet of things (IoT). The Apps World series brings together the entire spectrum of the app ecosystem for debate and discussion over its two day exhibition and conference events in Europe and North America. A two-day Mobile Payments And Retail stream will look at the opportunities presented by contactless payments and beacon technology for retailers, banks and global brands. The continued improvement in Egypt’s economic and political situation has benefited the banking sector significantly and provided an environment that caters innovation. 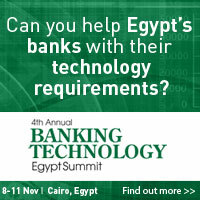 The Banking Technology Egypt Summit has established itself as the key industry forum for senior professionals from government, banks and solution providers who are looking to drive tangible improvements, build innovative banking services and stay up-to-date with key industry trends. Join NFC World and Gemalto at 07:00 PDT/10:00 EDT/15:00 BST/16:00 CEST to find out how issuers and processors can develop a mobile payments strategy that offers both a winning service for customers today and a long-term roadmap for the future. 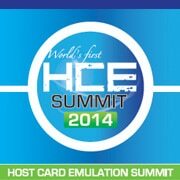 Join NFC World and SimplyTapp at 08:00 PDT/11:00 EDT/16:00 BST/17:00 CEST for a unique opportunity to put your questions on HCE, tokenization, Apple Pay, Android Pay and more to host card emulation pioneer Doug Yeager. “Now in its fourth year, NFC Payments Global Summit is returning to London this summer with thought-provoking content and excellent networking opportunities,” says the organiser. “Bringing together 10,000+ developers and leading brands, Apps World North America offers the perfect platform to meet decision makers from across the entire app ecosystem,” the organiser tells NFC World. 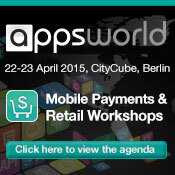 The Mobile Payments and Retail workshop will be of particular interest to NFC World readers, with day one focused on mobile payments, banking and NFC, while day two looks at retail apps and MPOS. The mobile payment workshops at Apps World Germany 2015 will be looking at new business models and discussing the latest developments in the mobile payments space — emerging technologies, mobile commerce, monetisation, security, NFC, mobile banking — and how these will affect the roles of key industry players like banks, operators, platform owners and card issuers. This event has been postponed until 2016. Join NFC World and payments testing specialist Gerd Thys from Clear2Pay at 15:00 GMT on Tuesday 24 February to gain an in-depth understanding of the new testing, quality and compliance challenges created by the arrival of HCE and tokenization — and how to address them. Join NFC World and Bell ID at 15:00 GMT on Tuesday 17 February when mobile payments expert David Worthington will explain how tokenization works and how it can help you better secure mobile payment services. Join NFC World, SIMalliance and EnStream at 10:00 EST/15:00 GMT/16:00 CET for an hour-long webinar that will help you understand how to select the right security strategy for your NFC service and gain insight into the lessons learned from a leading market deployment. Sarah Clark, editor of NFC World+, will be at the International CES to chair the event’s mobile payments session and meet up with readers to discuss the latest technologies and trends. 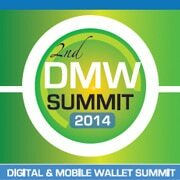 “Here at the Digital & Mobile Wallet Summit we aim to bring together a wide spectrum of industry stakeholders to share the latest use cases, industry best practices, regulatory updates and all else you need to know,” says the organiser. Focusing on the latest initiatives for mobile wallets and insights on consumer and retailer’s adoption & awareness, IBC’s 2nd Annual Mobile Wallet event addresses the key factors in implementing a successful business model and players’ collaboration to accelerate scale and adoption in mobile wallets in Asia. 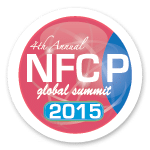 The NFCP Global Summit is returning to London in June with a show-stopping line up of speakers — and NFC World readers can save 20% on the usual ticket price. “This is THE event for payment, identification and mobility,” says the organiser. One of the most long-standing fixtures in the NFC industry calendar, Wima offers terrific networking opportunities in a more intimate and relaxed atmosphere. The ETA Show is now known as “Transact: Powered by ETA”. A half day summit on “the next big game-changer in one-to-one communications,” presented by the UK’s Direct Marketing Association. MobisecNFC is the “first workshop of mobile applications, secure elements and near field communication,” says the organiser. The event is sponsored by the IEEE. 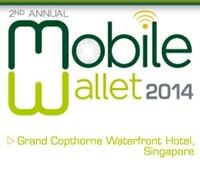 “This year Apps World will be dedicating a day to mobile payments & NFC,” says the organiser. “Understanding how the key stakeholders are carving out their places in this new mobile channel is fundamental to this conference track. 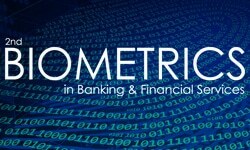 “NFC Symposium, now in its third year, is the leading Nordic NFC platform where all key stakeholders in the ecosystem — including banks, MNOs, transport operators, retailers, TSMs and many others — gather to discuss the latest developments and future business opportunities,” says the organiser. The 2014 International Consumer Electronics Show will feature NFC visitor badges, putting the technology at front and centre of the electronics world. Join NFC World and Smartrac at 14:00 CET/13:00 GMT for an hour-long webinar looking at how NFC can be used to add extra features and revenue streams to toys and games — and add fun and excitement to marketing campaigns and educational experiences. The Italian banking industry event, not to be confused with the massive Cartes tradeshow in Paris. Now in its fourth year, this conference will gather 180+ senior professionals from across the mobile payment community in China and beyond. “The GSMA NFC & Mobile Money Summit will again bring together the mobile and financial sectors to focus on developments and innovations in NFC and mobile financial services,” says the organiser. Covering RFID, NFC and other contactless technologies. “Money2020 explores trends in payments and financial services innovation, such as the mobile internet, open platforms and consumer empowerment,” says the organiser. NFC World Congress gathers the full value chain of NFC services, from start-ups to leading players, including implementers in all verticals. Over three days in Nice, the “NFC city” on the French Riviera, this event offers a unique platform to network, develop business and exchange knowledge with more than 700 conference delegates from 65 countries. “After 15 successful years of delivering the Mobile Financial Services Summit, Informa Telecoms and Media is proud to again reflect the changing industry focus and announce the Mobile Wallet and Retail Innovation event,” says the organiser. GlobalPlatform is inviting actors operating in the mobile NFC services space to attend a free seminar on Tuesday 18 June in Madrid, Spain. Join NFC World and Smartrac for an hour-long webinar at 14:00 BST in which we’ll take an in-depth look at how retailers can take advantage of NFC — beyond payments. Topics to be covered represent the latest trends of banking remote services development in Russia, says the organiser. 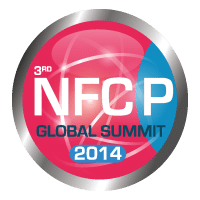 “Co-located with Cards & Payments Asia, the eighth edition of Near Field Communication World Asia is the most dedicated NFC industry event in Asia,” says the organiser. An exciting exhibition floor, presenting innovative applications, solutions, hardware and use cases from global companies to startups. An interactive and educational conference programme including key industry leaders, end users and brands — and not just for payment. Sponsor and exhibitor workshops on the exhibition floor, open to all attendees. Lots of NFC use cases and new faces! “NFC Payments Canada 2013, an event hosted by the Canadian Wireless Telecommunications Association, will bring together leaders from the wireless and financial industries as well as other stakeholders in a collaborative and critical examination of mobile payments in Canada, the current state and where mobile payments are headed,” says the organiser. The latest in a series of hackathons held around the world by digital marketing agency Isobar, in which developers are challenged to create their own NFC apps in just 32 hours. 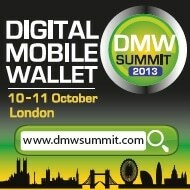 New for 2013, Apps World will be dedicating a day to mobile payments and NFC. Sessions will examine numerous in-depth issues such as how VAS can be incorporated into mobile banking to gain consumer buy-in, and what services consumers are demanding. NFC World readers can save 25% on registration using the code “NFC25”. This event is produced in association with NFC Research Lab Hagenberg and Finland’s VTT, and is co-sponsored by the Swiss branch of the IEEE. “NFC Symposium 2013 is the number one meeting place in Scandinavia for all the key stakeholders of the NFC ecosystem including banks, MNOs, credit card companies, device manufacturers, infrastructure suppliers, secure element issuers, TSMs, retailers and many more,” says organiser Midfield Media. The aim of the event, which runs from 10am until 4pm, will be to foster cross-sector discussions on innovation around new business models in the world of payments and digital commerce. It is organized on a participant-driven agenda leveraging the ‘unconference’ format, where the topics of the day are decided on the day. “Retail’s BIG Show,” says the US National Retail Federation. Follow announcements from the show in our CES 2013 section.